It’s time to talk turkey–Thanksgiving Turkey that is! Thanksgiving has come upon us suddenly this year. No need to fret. There is really little preparation that can be made until the week of Thanksgiving so you are still right on schedule. Take a deep breath and get prepared for the traditional feast. I use Betty Crocker as my guide and she has not let me down yet. Here are my tips for a delicious Thanksgiving dinner that anyone can prepare. Rinse cavities of turkey, lightly salt and then rub butter into the cavities. I put my turkey in a disposable aluminum pan so clean up is easy. The turkey is now ready for the stuffing. Cook and stir onion and celery in butter and chicken broth until celery is tender, remove from heat. Stir in remaining ingredients. Stuff the cavities of the turkey with the stuffing mixture and place breast side down in the pan you are using to roast the turkey. This is a tip I got from Jane Snow. Your turkey will be very juicy. The oven should be set at 325 degrees. Place the stuffed turkey in the oven. 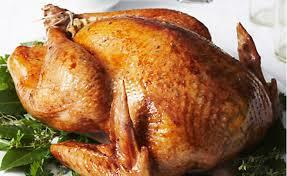 Internal Temperature should be 185 to 190 degrees and the leg should easily pull apart when the turkey is done. Remember to include the weight of the stuffing with the weight of the turkey when you are looking at the cooking time. The stuffing recipe can easily be doubled for a larger turkey. When the turkey is thoroughly cooked, immediately remove the stuffing from the turkey and store separately. Let the turkey set for about 15 minutes before carving. Enjoy and have a wonderful and blessed Thanksgiving. Merry Christmas! Many of you are roasting a beef tenderloin for Christmas. I am also roasting a beef tenderloin for the very first time. 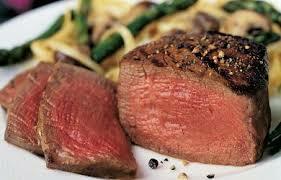 I am sharing how I will be roasting my tenderloin. I would really appreciate any tips you may have for me and my readers. Will let you know how our tenderloin turns out. Until next time… From our Butcher Block to your Table.